In June 2016, we received reports of gill lice on trout caught in the Henry’s Fork watershed. By July 1st, the Henry’s Fork Foundation and the Idaho Department of Fish and Game launched a collaborative study to collect baseline data on the presence, distribution, and severity of gill lice within the watershed. With the help of local guides and anglers, we received 78 surveys that consisted of 242 trout sampled from the Upper Snake River region. These surveys provided great baseline information (summary of 2016 data here) but additional data will be needed to monitor trends of gill lice in the watershed over time. If you find yourself out on the water this year, please take the few extra seconds to check for gill lice, record the information, and submit the data back to local guide shops, the HFF, or online (gill lice survey submission). Thanks again to everyone who participated in the study so far. We greatly appreciate your time and effort! If you have questions, comments, or concerns, feel free to contact Bryce Oldemeyer at Bryce@henrysfork.org or 208-652-3567. Henry's Fork Days is Next Week - Are you coming? Our 33rd annual Henry's Fork Days are just ONE WEEK AWAY! We are excited for yet another fantastic weekend of support for this beautiful river. NOW is the time to secure your tickets! Don't miss the fun, incredible door prizes, silent and live auction, PLUS an open bar!! 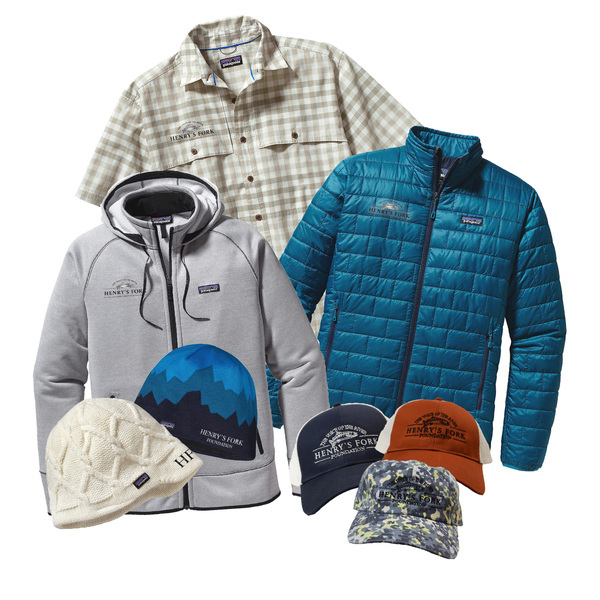 Interested in what will be in the Live Auction? Visit the link below to register for the event as well as view our Live Auction line up! We look forward to spending the weekend with you and your fellow HFF members! 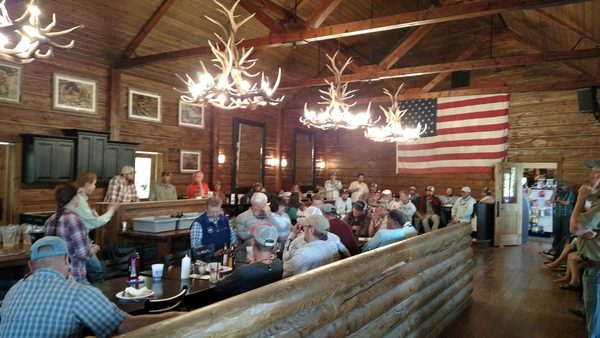 At the end of May, HFF hosted our annual Guides and Outfitters season opener gathering to share information and discuss key river issues. Below is a very brief snapshot of some of the topics discussed. 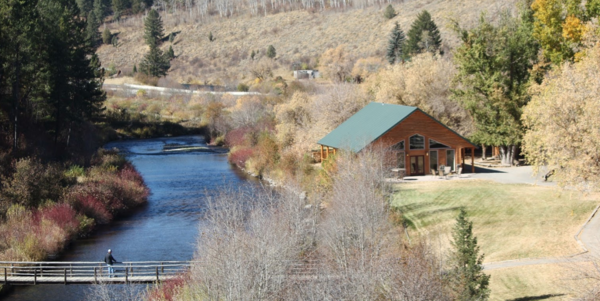 There could be disruption around Ora Bridge starting this fall with the relocation of the parking lot, but Fremont County has assured us they will maintain parking and angler access. Full construction is scheduled to begin next spring. The road and bridge will now go straight across the river. Construction begins this week on the repair and restoration of Harriman Canal. Work will improve angler trails and address canal seepage. 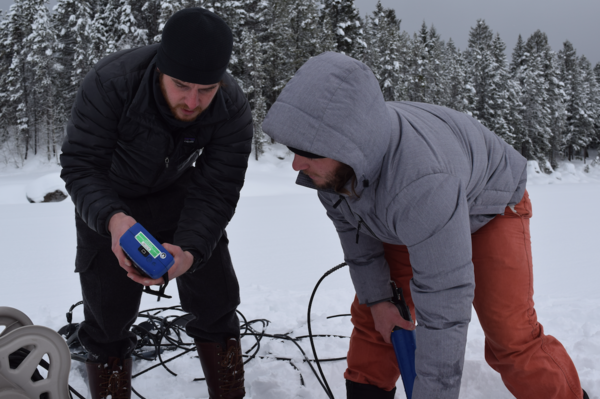 HFF is working with partners, including Trout Unlimited, Friends of the Teton River, and the Nature Conservancy, to take advantage of a brand new water market that will allow us to essentially pay farmers not to irrigate, with a goal of better winter flows for juvenile trout. Fremont County now has ownership of the Last Chance boat ramp. Keep an eye out for future improvements and additional signage. Fall and Teton Rivers will be a big help this year. We expect to make it through June before needing to use Island Park storage water to meet irrigation demand. Flows should be between 400 – 750 cfs through June and then less than 1400 cfs in July. We were facing early melt back in March, but a very wet April made a big difference. Overall, we’re in better shape than last year, but Big Springs is still only at about 80% of average. We’ll need a few more good years to dig ourselves out of the hole these last four years of drought have put us in. Idaho Department of Fish and Game shared fish population estimates for 2017. Numbers are up in Box Canyon from last year, with approximately 2,900 fish per mile.